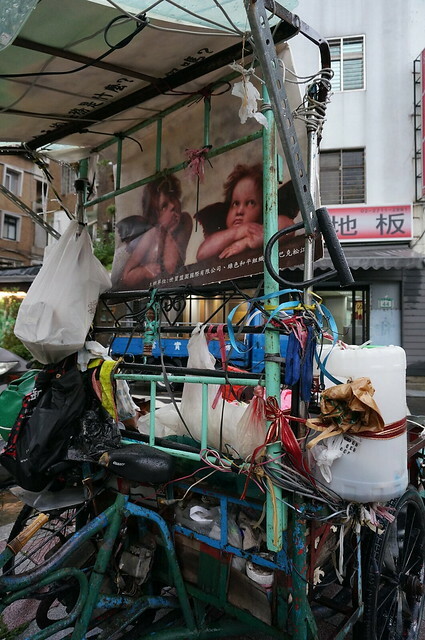 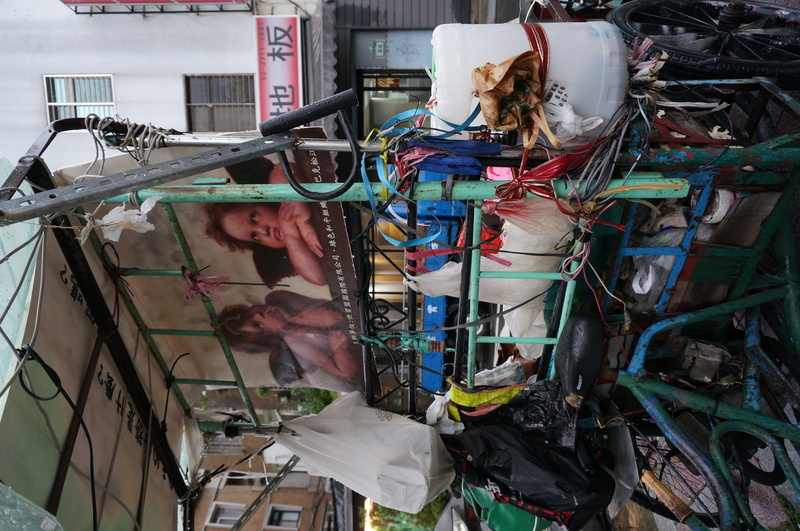 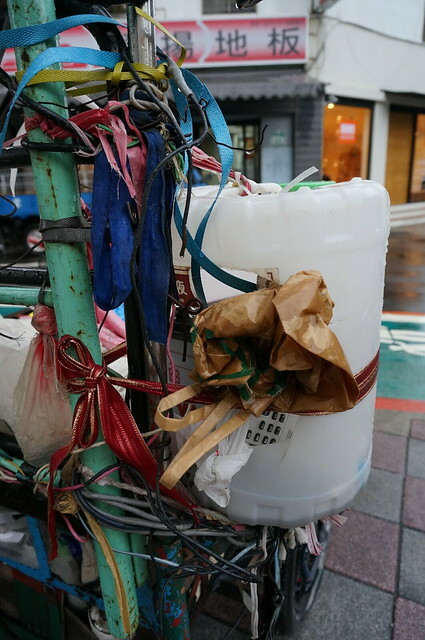 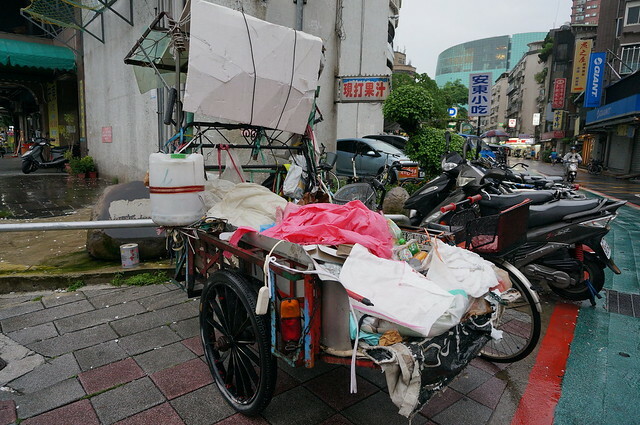 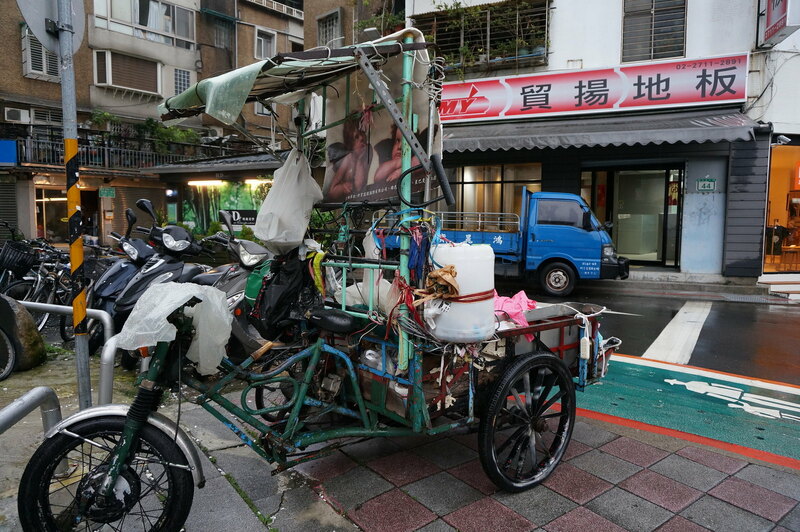 A recycling collector’s modified tricycle, found steps away from the cornucopic Pacific Sogo Department Store in Taipei, Taiwan. 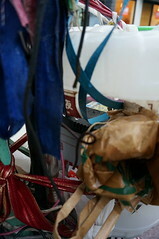 Great use of cupid-print corrugated plastic signage and strapping of all kinds. 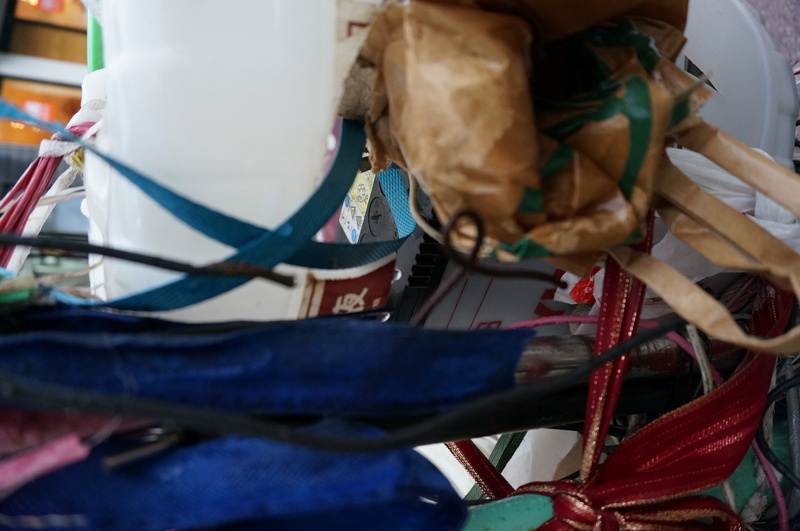 The cut-out plastic container on the side housed a car-battery and couple of remote controls. 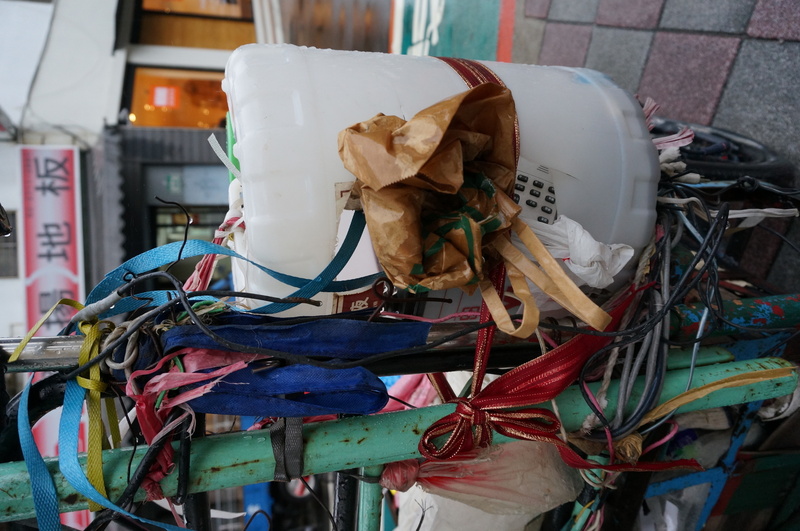 Possibly for the turn-signal indicators at the back?